Four years ago, I was introduced to the Modeling Method for teaching physics at Arizona State University. It instantly clicked with my constructivist philosophy of teaching & learning. It helped make me an excellent physics teacher who challenged students to think more than ever and taught science by doing science. Last year, I had the opportunity to travel to Pennsylvania to train in the Modeling Method for teaching chemistry. Another influential experience, this program transformed my chemistry instruction and helped align my teaching philosophy and pedagogy with both of the science disciplines that I teach. In my experience with teaching using the Modeling Method, I have had tremendous success making learning of science accessible, engaging and challenging to all levels of high school students. 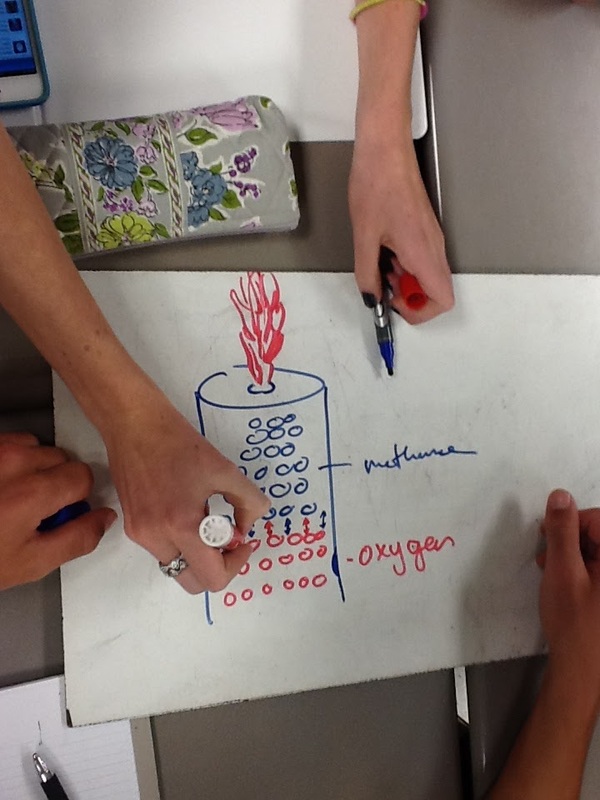 This post is a resource for anyone interested in the Modeling Instruction in Chemistry program. The training is done over a three-week period of 15 full-day course meetings. A total of over 100 hours of contact time wherein the participants in the training will go through all of the curriculum in the role of the student and debrief and discuss the underpinnings of it all as teachers. Modeling instruction is a constructivist pedagogy for teaching science using inquiry-based methods. Though it could be translated to other disciplines, it is a framework for teaching wherein learning takes place through the focused development and deployment of conceptual models. The models are constructed by the students themselves through the active experiences of interacting with the the content in a physical context. The teacher's role is to guide students and cultivate their learning with them. Multiple representations of the developed models are a mainstay of this approach. What is the role of energy in the changes we observe? The curriculum framework for Modeling Instruction in Chemistry is comprised of nine essential units, each of which contributes additional features to the ever-developing model of matter. It follows a generally historical perspective of the development of the body of knowledge in chemistry that exists today, and it makes the structure of the discipline far more explicit than any other conventional approach to teaching chemistry. The nine units are highlighted below along with a more detailed entry about the units in the context of the three-week training. Matter is composed of featureless spheres (particles) which have mass and volume. The particles are in constant, random, thermal motion. Energy is a conserved substance-like quantity that is stored in various accounts and transferred in various ways. The particles that make up substances can be compounded from smaller particles. Using Avogadro’s Hypothesis we are able to determine the number of molecules in macroscopic samples by weighing them. Chemical reactions involve the rearrangement of atoms in molecules to form new molecules. Equations representing chemical reactions relate numbers of particles (molecules or formula units) to weighable amounts of these particles. Equations representing chemical reactions can also relate numbers of particles (molecules or formula units) to volumes of gases, solutions and to the change in chemical potential energy. Day 2 - Unit 1 cont. This past week was the 2012 Michigan Digital Learning Conference hosted by the MACUL organization. The conference brings together Michigan educators and technology professionals to share ideas on what the latest and greatest in technology could mean for education. There were presentations by classroom teachers, administrators, tech "gurus" and technology vendors. The conference was an opportunity to learn new things, share and discuss ideas with others from around the state of Michigan, and to renew a sense of the role of technology in our lives. There was something for everyone to take away from the keynote, session presentations, and discussions. Whether you are in the field of education, or just want some great digital ideas to use in your personal or professional life, here are the top ideas that stood out at the conference. Keynote speaker Leslie Fisher presented on day two of the conference and showcased a number of cool gadget tools and apps for iOS. LeapMotion, an up-and-coming competitor to Microsoft's Kinect, promises 0.01mm accuracy hands-free control of a device. The device will allow you to use gestures that are sensed by the LeapMotion device to control the functions of your computer, laptop, etc. Pretty amazing stuff. The demo video of the LeapMotion alone is enough to motivate an impulsive pre-order. For $70, this device can make you Tom Cruise in Minority Report. Looking ahead to what this might mean for personal computing or the classroom, the ability to navigate control of a device without the need for hard-wired, or even wireless, controllers enhances the experience of using programs, such as maps, simulations, or photo editing. Think about how often people "talk with their hands" during a conversation. They try to help you understand what they are thinking more with their gestures. The LeapMotion may help to bridge the gap between thinking and communicating ones thinking a little more. In the classroom setting, tools to help narrow that gap are invaluable. A new "visual browser" called Aurasma allows you to create your own "auras" to overlay on images and text. This will allow another user scanning the image with their device camera using the app to automatically access your created content overlaid on the image. There are a number of AR apps out there, many of which are either targeted for or could be repurposed for education. The possibilities of creating content for a lesson or project are really promising. With AR technology, such as the Aurasma app, information could be overlaid on objects, experimental equipment, worksheets, projects, areas of a building, or even to generate hints for assignments and projects. Increasing device use in the classroom makes the future development and current availability of augmented reality apps very appealing to education. Classrooms have already seen the value of and begun incorporating Google Apps into their student and teacher workflows. As a free alternative to pricey Learning Management Systems (LMS) and as a no-maintenance option instead of some of the open-source LMS out there, Google Apps can provide a very appealing digital classroom toolset. One of the cautions with Google Drive (f.k.a. Google Docs) has been a challenge to create a file distribution and collection system between teachers and students. Many of the LMS out there offer no-setup folder hierarchies with easy to use features for students and teachers across all classes. Although this can be done in Google Drive, it is not an intuitive or automated setup; and actually, the tediousness of creating all the folders with correct permissions for all students in all classes is a daunting task that few teachers would have time to do. That's where gClass Folders comes in for the win! It is a script built into a Google spreadsheet template that automatically creates file folders for a group of individuals based on your entered information in the spreadsheet. It automates the creation of a view only folder, editable folder, and turn-it-in style dropbox folder for each individual and then shares the folders with them. With the popularity of the AirPlay mirroring features on newer iOS devices, many conference rooms and classrooms are equipped an Apple TV to allow someone to show the display of their device on a larger display. Having an Apple TV connected to a projector will allow any device on the same wireless network to mirror its display and audio through the projector. A great feature for classrooms, the Apple TV can allow students and the teacher to share content wirelessly in the classroom for all to see. Some school wireless networks do not play nicely with the Apple TV, and this can be a brick-wall to classroom integration of the technology; however, a computer-based application called Reflector (f.k.a. "Reflection") offers a viable alternative. 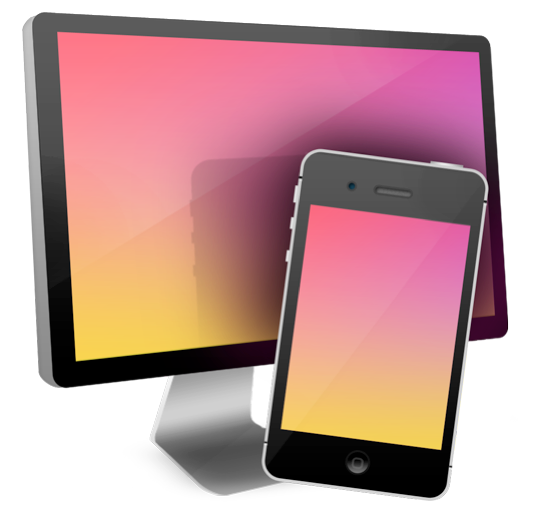 The app, which retails for $15, allows a user to wirelessly mirror their iOS device display on the computer or laptop screen. If your laptop or desktop are connected to a projector and on the wireless network, then a device connection to allow for AirPlay mirroring is now at your disposal. One of the best features of the Reflector app is the ability to display multiple devices simultaneously, a great feature for comparing the ideas of multiple individuals in a classroom. The app also touts screen recording ability, which opens up the playing field for iOS device screencasting, an essential component to flipped classroom models. Though many classrooms and conference rooms are already equipped with interactive whiteboards and projectors, if there is a decision to be made about choosing new technology, perhaps the best choice isn't an interactive whiteboard. The actual interactive whiteboard device isn't much more evolved than a traditional whiteboard, or worse yet...a chalkboard; however, it does have some appealing features such as simulations, games, integration with student response systems, and lesson/assessment templates. Notwithstanding these software features, the actual hardware has many setbacks. Its one user at a time limitation and fixed position in a room requires a presenter to be tethered to the board (unless you have an Airliner) and that blocks the view of the audience from any content being displayed. Yet an insightful presentation on why you want an ipad instead of an interactive whiteboard, revealed that the cost of an interactive whiteboard is far greater than an alternative setup that includes a projector, Apple TV (or computer running the Reflection app) and an iPad. The iPad setup for a classroom has much more versatility and plenty of comparable features to outplay any interactive whiteboard, including that several iOS devices can interact with the setup and allow audience members to participate with their own device. With the untethered freedom, variety of apps available on iOS, and the ability to act as a roaming document camera as well, the iPad (over the interactive whiteboard) not only advances classroom technology but promotes collaboration instead of mere presentation. We want to use all these great technologies, apps, and digital tools in classrooms with students. The hope is that these innovations will empower students and enhance teaching & learning. One major hurdle to use of technology in the classroom is the ability for students to engage with and successfully use all the tools at their disposal is that students may not know how to use the tools already. This sets up a need for training, and intensive training in some cases. The theory of the digital native posits that individuals born in the digital age have some intuitive and and inherent ability to use and learn technology that surpasses the ability of individuals born in earlier generations. This can sometimes leads to false assumptions in the classroom that students will easily figure out how to use digital tools and integrate them immediately into their learning experience. Without the proper training, students will struggle with technology just like anyone new to it. That's where a tremendous initiative to teach digital skills and standards of digital citizenship called 21Things4Students comes up huge. It is an organized curriculum for students, mostly focused at the middle school and junior high level, to teach them digital skills and introduce them to tools common in the digital learning realm. Students proceed through the curriculum as a course led by an instructor and completely delivered online. The experience takes students, at their own pace, through a variety of skills and guides them to create artifacts and generate a portfolio of their learning. The implications for such a curriculum is far-reaching and imperative to training students to be successful in navigating the digital world. If 1) the pen is mightier than the sword; 2) writing is a blueprint of thinking; and 3) social media can help change the world, then meaningful blogging is the perfect tool to teach students written expression...and much more. The connection between writing skills, learning, and academic performance has motivated an emphasis in teaching writing across the content areas; however, there is no hard-and-fast approach to teach writing in each subject discipline. Often times, technical writing in each subject is the focus of teaching writing across the content areas; however, a reliable and consilient method of teaching writing could be to get students blogging. There are many examples of student journaling throughout the history of classroom teaching at many different levels, but blogging provides an opportunity for not only reflective writing and thinking, but for communication, showcasing student learning, and making thinking visible. Some great examples of student blogs exist at the elementary, secondary, and post-secondary levels of education, and they can be inspiring to see what students can do to create and share content and ideas. Even micro-blogging can be a successful opportunity for student writing. Overall, student writing is the focus, regardless of the medium, but blogging offers so much more than mere writing. Blogging could be that missing link that bridges a gap between thinking and expression to help students become more resourceful and successful learners. 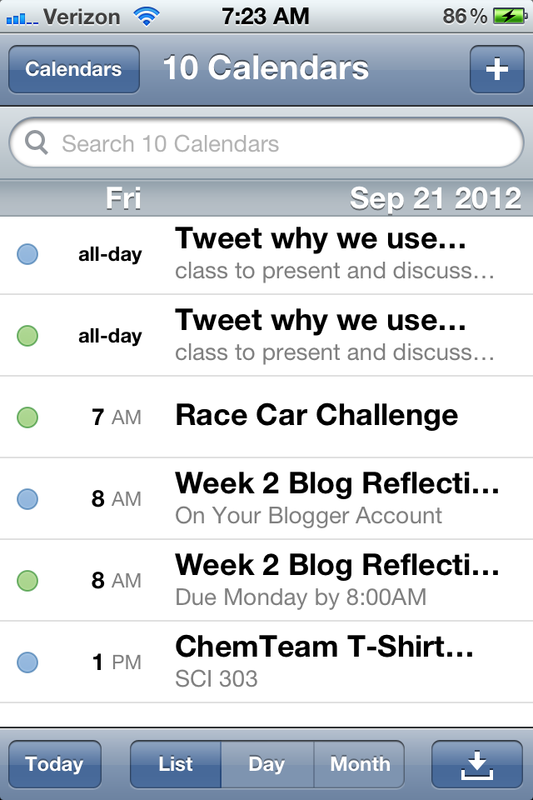 What would we do without mobile applications? Probably not much. Although the devices we love, and sometimes love to hate, are sophisticated and advanced, it is genuinely the apps for the devices that give them their usability and mass appeal. After all, what would a front-facing camera be without video-calling apps? Many of the conference sessions, including the keynote addresses, highlighted some of the great (free) apps out there that have functionality in the classroom or in education in general. With literally billions of apps available for countless devices and platforms, finding the best apps can be an Attention-Deficit-Disorder-inducing nightmare. A career could be made out of scouring the app stores out there for the best applications, only to find out the next day that new ones have emerged that might be better, or just different. There are apps for teaching science, math, writing, music, reading, fine arts, social studies, ELA, art, foreign language, special education, and physical education; however, the common theme here is that apps can help any device do just about anything. Remember, it's not about the technology, but what you do with it, that is most important when it comes to education. Talking to educators and other professionals from schools and districts around the state of Michigan, and likely around the country and world alike, you quickly discover that many places are looking into one student-one device (1:1) initiatives for the learning environment. There are many great models for a 1:1 classroom, or school, including computer labs, mobile devices, BYOD or even student laptops. Yet, many of these initiatives present as if the focus is on the technology and not the teaching & learning. One of the most impactful messages that was presented at this conference encouraged schools and classrooms, which are considering or have gone to 1:1 environments, to ensure that the focus is always on student learning outcomes. A 5-E framework was presented to guide decision-making for anyone considering 1:1. These five Es include: effective instructional practices, economics, equity, expectations, and evaluation. The presentation suggests a process-driven approach to a 1:1 initiative that starts by identifying learning outcomes for students, devising instructional practices and tools that achieve these outcomes, and finally deciding which devices would best support the teaching & learning. It is a backwards-by-design approach in comparison to what may otherwise seem like a simple choice of what is the best device to get for everyone; however, it is not that simple. If you had the choice between a laptop given to you by your work or school, and using the one you already have, which would you choose? It's likely that the device you obtained for yourself meets your specific needs, whereas a device given to you will meet only some needs of yours and mostly those of another party. The generosity and care behind a 1:1 initiative is great, because schools and businesses are considering that they want all individuals to be equally equipped; however, just as teaching, learning, and working do not all happen in the same way for all individuals, we cannot expect that one technology meets the needs of everyone either. So, does a "level playing field" for technology mean that everyone has the same technology, or just that everyone has equally capable technology? This is what makes a Bring Your Own Device (BYOD) or Bring Your Own Technology (BYOT) policy a great way to go. Using the device you already have allows you to tailor your own expertise to meet the challenges of tasks that require technology. 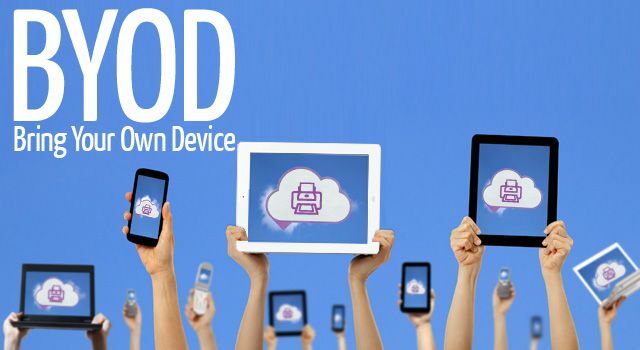 It can save districts and businesses lots of capital that could go toward training staff or enhancing some other area of the practice; yet, many places do not have supportive BYOD/BYOT policies in place. Productive adults in the professional world will be hard-pressed to deny the indispensable nature of their personal mobile devices or laptops, and that is an important thing to consider for the learning environment as well. Cell phones can be learning tools, but only if there are supportive policies in place to allow them to be. 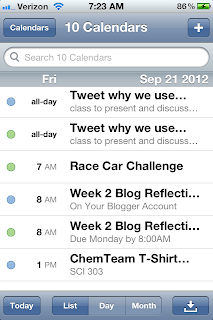 When considering technology in the classroom or workplace, BYOD/BYOT should be a top priority. There are best practices of a sustainable policy, step-by-step guidelines for forming a policy, and important considerations for any policy writing of the sort in either business or education. It might be helpful to take a look at example policies already in place elsewhere before formulating your own. From business, to education, to government agencies, great examples of BYOD/BYOT policy can guide you in the right direction. It is true that BYOD/BYOT is a debate in progress, but with solid discussion and planning the best decision can be made. If your school, classrooms, businesses, or departments are looking into ways to incorporate technology, then a BYOD/BYOT policy is in need. Supportive policies make best practices possible. At the start of the school year, I had plenty of motivation for creating a classroom brand, but had to devise how I would implement my classroom brand in my physics classes and determine what it would require to get students to buy in to the brand. The classroom brand had already been chosen, TeamPhysics, but without much of a background in marketing, implementing the brand was a challenge. So, I looked at all that I knew of successful branding campaigns and put pieces together from each to form the elements of my classroom brand. I thought of Dan Pink's 'What's Your Sentence?' presentation on this. He challenges people to define their life's accomplishments (what they want to be remembered for) in a single sentence. I realized, after thinking about this, that most brands keep it simple, like Nike's Just Do It. So, I needed a sentence for my classroom. The sentence needed to answer the question: what do I want my classroom to be known for after students leave? Once I had this sentence, then I could go forward with the rest of the branding. After all, isn't it the most important thing to know what a brand stands for? Every good brand needs a logo. The visual recognition alone is imperative to the branding concept. When I thought of a brand, there were really two choices: an icon logo or a word logo. For TeamPhysics, it seemed sufficient to use the word as the logo (like Google does.) To make it stand out and be unique, I thought I would craft the word TeamPhysics out of physics symbols. 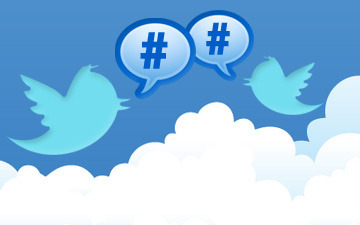 If you're not using Twitter in your classroom, then this step does not yet apply to you; however, if Twitter is part of your educator world, then you need a hashtag for students to come together about your brand and about your classroom on Twitter. Research your ideas before making it official. Sometimes, hashtags have more than one meaning or acronyms have significance in a foreign language, and you don't want overlap or muddled conversations on Twitter. We went with #TeamPhysics, but over time this was used by people around the world who weren't associated with my class; so, next year I will choose something different. Perhaps an acronym with a year (e.g., tmphys12) can be your hashtag. Remember that social media can help extend the classroom experience beyond the four walls of your room. Think of the short sub-sentences that companies have underneath their logo. Tumblr has a good one: "follow the world's creators." This is something that students can remember and recite to others about your classroom brand. It helps build that abstract element of what the brand stands for. The TeamPhysics mantra is "Challenge accepted." Not at all to be confused with classroom rules, norms and values are ideals that students seek to have in their classroom community. Develop these together in the first days of the school year and then promulgate them. A good example of a norm from TeamPhysics refers to what happens after whiteboard presentations or students volunteer. The norm is: everyone claps, and it's a golf clap. These are those behaviors that everyone wants to have going on but don't come from rules. Much like tipping a server at a restaurant is a norm, not a rule. Start planning early to find out who your school or athletic department uses to get t-shirts made. Have students participate in the design of the shirts, choose colors, etc. Get them made as early as possible in the year. Encourage everyone to get one, and, if you can, find grant money, booster club or parent club support, to get everyone a shirt. You can have special days where students where their shirts, like test days (like game day support for a team.) It helps to promote the classroom brand and unify the group. Any handout, assignment, or assessment that students receive from you should have your classroom brand logo on it somewhere. Whenever you (or your students) talk about your class, make sure everyone is passing the pronoun test: do statements about the class contain "we" language or not? Classroom culture is not about teacher vs. students; it's about us together. Focus the language used in this way. Stop referring to your class by its course catalog name and start referring to it by classroom brand. Students don't "take physics with Mr. Abud" they are "a member of TeamPhysics." And, when we had our cardboard boat races in the spring, the programs all had "Presented by TeamPhysics" with our logo. It's really the little things that make it work. Just like corporate brands obtain feedback from consumers to see how their brand is doing, it is important that students get feedback opportunities that are risk-free where they can share ideas for making the classroom even better. Anonymous surveys, class discussions, small group discussions and whiteboard presentations are all possibilities for obtaining this information. TeamPhysics was one of the best ideas I have ever had for building classroom culture and establishing the learning climate I wanted to foster in my students. It fits with the way that I teach science and my philosophy of education. It gives the students something to be a part of and not merely feel they are just in another class. This can be really helpful when the going gets tough. Since physics is taught using the Modeling Method we are doing a tremendous amount of student-centered activity in groups as well as project-based learning. The atmosphere of the classroom is that of a team, and needs to be just that, in order for Modeling Instruction to work. Modeling Instruction doesn't work if you don't build rapport and the fastest way to building rapport is to promote a positive classroom culture. The students really came together around the classroom brand and talked it up so much and so regularly that it did become something bigger than I alone could ever have made it. The principal would comment to me about how he noticed students regularly Tweeting about physics using the hashtag #TeamPhysics and that they seemed to be genuinely interested in the notion of 'physics as sport.' It was rarely homework to Tweet about physics. Instead, we would have #TweetYour______ Twitter activities during class, where students would share pictures of their labs, whiteboards, or even just their data. Also, we held class discussions, much like #scichat, on Twitter during class and played Kelly O'Shea's whiteboard mistake game using Twitter as well (#WhatsUpWithThatBoard.) Students outside of class would post comments or questions about homework, share photos of projects in the works, or just share links to physics related stuff they saw outside of school or online. When the students started sharing on their own volition about physics with the #TeamPhysics hashtag, I felt I had accomplished something with the classroom brand. To round out our classroom culture, we had character building activities during the year, opportunities for community service, and celebrations of accomplishment. The Rock, Paper, Scissors tournament is a good example. This single elimination challenge of the classic game has the winners of each round taking the losers with them to the next round as their cheering squad. This is the "biggest fan" stipulation. If you lose, you become the winner's biggest fan and cheer them on. By the finals, the class is divided in half shouting and cheering on one or the other student. There are plenty of character-building team-building activities out there. They take only a few minutes and can make the difference in sculpting your classroom culture from time to time. Donut holes or popcorn parties are easy to do, and they go well with activities in class. For example, if you have presentations coming up after a big project, get a bunch of popcorn for everyone to share and eat while they observe the presentations. Putting this extra tidbit into your classroom activities can make 'scary presentation time' into a celebration of accomplishment. When it all comes down to it, there are so many activities and elements of the TeamPhysics classroom that stem from the classroom branding idea. For me, the classroom brand had to entail a sense of team, foster student-student and teacher-student rapport, help extend learning beyond the school day, and be something with which students could identify. Capitalizing on the popularity of the #Team________ concept on Twitter, and leveraging the power of branding, helped to create the classroom culture that I always wanted. The reason I believe it was successful now, looking back, is that everything I wanted my classroom to stand for was all represented in one centralized abstract thing, the classroom brand. Once your classroom brand takes off, other students and colleagues will start to take note. It will bring positive attention to your students and their classroom, which will reinforce the greatness of that classroom culture. This is a story about classroom culture. It includes an introduction to, what I suspect is, a novel concept--that of the classroom brand. It is something that integrates marketing, psychology, and education. I suspect that this has been out there but not well defined as of yet. My hope is to shed some light on what I refer to as the classroom brand and explain how I applied this concept to my own classes to create the classroom culture I was trying to foster in my students. The story I am about to tell is in two parts. The first part is the background and motivation for why I chose to brand my classroom, and the second is the story of my first year with a classroom brand. The alphabet constructed out of popular brands. I would like to begin by disclosing that I am no researched expert on marketing nor the psychology of advertising, and so the thoughts here are my own. I have not seen in the literature nor in any personal blog or news article anything that describes what I call the classroom brand, but that does not mean I am the first to note this. Much has been written about brands in the classroom, but nothing about an actual classroom brand. Based on my own background in education, philosophy and cognitive psychology, I have compiled years of personal observation to examine how we are hard-wired to accept brands and branding based on the way in which our brains form associations. Once upon a time, someone pointed me to the brand alphabet to illustrate how associations were vital in learning. The alphabet has now gone through several branding iterations since the original (shown above) was created. You can even test yourself to see how many you would get, which should make the argument for the power of branding pretty compelling. Perhaps what I point out here will seem obvious to you; but at the least, I hope that it seems a logical generalization about the nature of how we think as consumers which follows from your own experiential evidence. Finally, I hope that you can get a sense of what branding can do for a classroom, especially at the secondary level, because the age group responds so well to branding campaigns in general. The power of the brand has been well known in the business world for years; however, looking around at other areas of life, you will likely find that branding has spread beyond a mere marketing tactic in business to almost all aspects of culture. 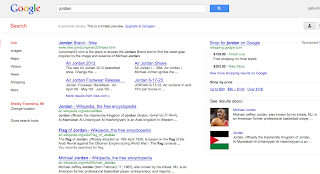 Brand recognition part of our cultural upbringing and it takes a hold on everyone, whether subconscious or not. Everyone gets exposure to certain products, games, services, and entertainment throughout their lives. They come to know, like, and dislike certain brands based on their experiences. As we mature, we begin not only to recognize brands, or to simply be aware of them, but we identify with them, or against them. The pervasiveness of brands in culture can be seen in all countries and with all age groups. a survey of school children and college students from a couple of years ago describes top brand recognition. Though this article describes that teachers should take advantage of brands in their classroom, the context is different than what I am referring to here. Where this author suggests to use brands that students recognize in the classroom, such as Google or Microsoft, I am proposing that you create your own classroom brand--a brand that represents what your classroom stands for and the type of "product" you sell as an educator. Few could argue that children are drawn to logos and products based on colors, shapes, or appealing design. Regardless of the type of product or the quality of it, children can recognize and even choose brands simply based on the visual it gives. Watch a parent with a small child in the grocery store checkout lane to see this for yourself. It's no accident that certain impulse shopping items, toys, and candy are all placed there. In adolescence, people become more aware of social branding. The products associated with fashion, style, class, and money start to work on the minds of kids in middle school. This motivates them to buy certain products to communicate a certain image to other people. Even the image that they choose to communicate has been branded and "sold" to adolescents--e.g., the skinny girl who wears a lot of makeup, or the male jock. The film Miss Representation does an excellent job of illustrating the influence of branding on young girls in the long-lasting implications. Of course, some would call these image brands a "stereotype," but in the way that they are being pushed to consumers, they are an actual identifiable product themselves, and thus they are a brand. Everything from food, to entertainment, to personal image is branded for school-aged children to experience. Brands are ubiquitous, and a recent mobile app game called Logos quiz very clearly points out this fact. In this game, you are given a set of logos for brands and try to guess the name of the brand based only on visual recognition. It was a very popular game with the high school students in my physics class this past year. The experiences we have with brands as children and young adults then shape our brand associations and choices for the rest of our lives. To some degree, the extent to which we consume brands helps design and shape our self image, beliefs, perceptions, and personality. As adults, we are exposed to more abstract branding campaigns than those to which children are exposed. The brands start to come more in the form of beliefs and choices. An election year is a prime opportunity for one to see this at work. The President has initiated a campaign of 'forward' for 2012, in contrast to the 'change we need' that was behind his 2008 election. On the challenger's side, Mitt Romney's team has launched a 'believe in America' campaign. Both candidates for president hope to compel voters to identify with them, but each has chosen to do so through branding and brand recognition. But this isn't the first time we have seen this sort of thing. Political campaigns have chosen to use branding for as long as they have been documented. Some simply refer to their "slogans" or "image," but these, I argue, are just iterations of branding. The branding that takes place in political campaigns is one form of what is referred to as personal branding, which some might learn about in marketing school, but this is a form of branding where a brand that represents and stands for an individual is created that becomes bigger than the mere person alone. If you're unfamiliar with personal branding, you can immediately recognize personal branding if you think of a famous musical act, e.g., the Beatles, or Bob Marley. The Beatles are more than just their music, the musicians, or a logo. The Beatles is the brand that arose from the band. The same is true with Bob Marley--and if you consider politicians in the same way, the brand of Barack Obama or Mitt Romney overshadows the individuals themselves. From childhood to adulthood, branding is a pervasive aspect of our lives. Branding even supersedes the cultural, business, or individual level. Having just finished the 2012 London Games, you might recall plenty of Olympic branding going on--"world togetherness, in sport." Associated with this type of branding of an event is location-based branding, such as that which happens with cities, states, and countries. Branding campaigns such as "I love NY" and "Pure Michigan" illustrate how locations want to sell themselves as their own brand. Perhaps the most noteworthy location-based branding you are familiar with is that of branding a country. When you see a country's flag, you are seeing its logo--it's brand. And that brand represents all that country embodies. We see the pride associated with the branding of a nation during times of war, tragedy, crisis, or unity. In the U.S., the flag so embodies our country's brand that people put flag stickers on their vehicles, buy U.S. flag clothing, or tint their windows and paint their cars with the stars and stripes. It's not just patriotism; it's branding. Perhaps the most well-known branding is that associated with sports teams and even individual players. In sports entertainment, branding has had as much, if not more, success than the branding in any other area. From team logos, to players' numbers, to school colors, branding has helped to market and promote sports entities and institutions to the masses. There isn't anything bad about branding, it's just pervasive in the world. Sports is simply a prime example, from school-based athletics to professional leagues, sports team and player brands dominate. Don't believe it? 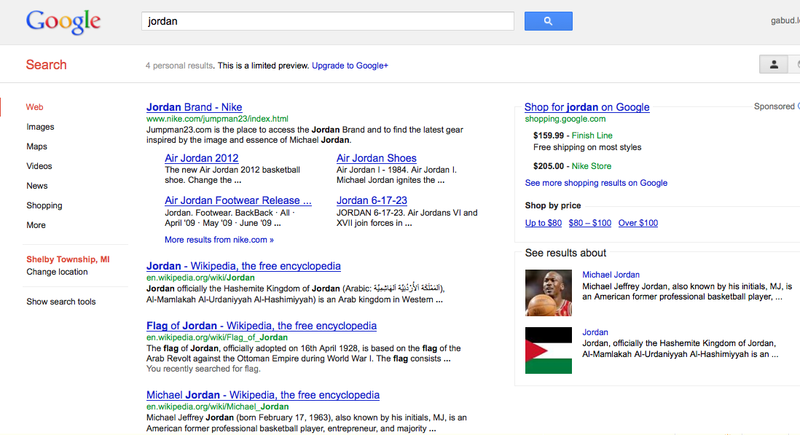 Take a guess what the first result will be when you do a Google search for "Jordan." The success of branding in so many areas of life, especially business and entertainment marketing, shows, at least on the outside, the power that brands can have in representing a product, person, organization, event, location, or even a belief system. But since the dawn of social media and the social web, a new type of branding has arisen on the Internet and it has inspired a new approach to branding in other areas. This type of branding, for lack of a proper term, is an experiential brand. It is the type of brand that Facebook, Twitter, Tumblr, and Flickr all seek to create--one that is based on a shared experience and a type of social connectedness. When you think of what the Nike brand has done in their campaigns, they've gone from representing products to representing what can be done with those products. When it boils down to it though, Nike is still trying to sell a physical product. Now, contrast that with something like Facebook and what they are (were) trying to 'sell.' It wasn't a physical product, like Nike, but rather theirs is the experience of having (potentially) all the people you know in the same space to interact with while simultaneously documenting/chronicling your own life. This is very different from selling a product. Certainly, Facebook has its critics, myself included, who 'dislike' some aspects of what Facebook has become, but you cannot argue that it is a brand that represents experience. The same is true of other social media companies out there. The sense of community that one gains from Facebook is the appeal; no matter what someone tells you, they didn't join to play Farmville. It's because of things like Farmville that I left Facebook a few years ago. The community became too cluttered and lost sight of its original purpose. When it became too cumbersome to navigate Facebook for the sense of connectedness I sought with my family and friends, I knew it was time to abandon ship. So, I joined Twitter in 2009 and never looked back. Twitter seemed minimalistic enough to accomplish what I wanted out of a social networking sight--conversation with others and a sense of connectedness based on common interest. The more I learned on Twitter, the more I learned about Twitter...and the more I liked it. I quickly reached the highest level of Twitter usage and decided it was time to start using it in my teaching with students and colleagues. That's when I learned something that was a game-changer for the way I thought of branding. For the longest time, it seemed that you needed to have a big company, big idea, or simply have status worthy of devising a brand; however, on Twitter, anyone and everyone could create and market their own brand. This was ostensibly true to me, as was the nature of the potential for brand creation on twitter, when I saw the hashtag #TeamFollowBack from one of my students in a tweet and then another in someone's profile. I didn't understand the terminology and had to ask a student to explain it to me: "It's just people who will follow you back," one physics student told me. Apparently, they didn't actually 'join' this team, they just identified with it and as they were being part of it through following the common tenet of "you follow me and I'll follow you back." The more I looked into it, the more I began to notice #team__________ on Twitter. People create a hashtag for something they believe in, identify with, or want to promote and make a 'team' out of it that people can 'join' and feel a part of. There's everything from #TeamJesus to #TeamSingle out there. So, this begged the question: could there be a #teamphysics? The more I thought about the possibility of a hashtag #TeamPhysics, the more I realized that it had to stand for something, it would have to be a brand of the experiential sort, but what would that even look like? After mulling it over enough, I had the idea to brand my classroom #TeamPhysics. I proposed the idea to my colleague @mr_pata at our first staff meeting. "I think we should brand our classroom #TeamPhysics, because we really 'sell' a unique version of physics," I said at our department table group. Not a minute went by and the principal walked over to our science teacher table and said, "Good morning team science!" passed out some papers and moved on. We looked at each other, nodded, and realized it was a must do idea to brand the physics classroom. Between the power of brand awareness, social connectedness associated with brands, and the relevance of the #teamBRAND that is now all over Twitter, it made perfect sense to implement #TeamPhysics for the year--and that's just what I did. Part 2: What's a classroom brand? When I think of a product brand, as described and illustrated above, I think about all the products, ideas, and experiences that are associated with that brand. Nike, Just Do It, is a way of thinking as much as it is a pair of shoes or the feeling of accomplishment associated with sports performance. When I think of how I would define a classroom brand, it doesn't look much different. A classroom brand is that which represents all that your classroom stands for--the ideas, experiences, norms, values, interactions, structure, and connectedness. For me, a classroom brand simply embodies what I want my classroom culture to be. That's why TeamPhysics was the perfect brand for my classroom. 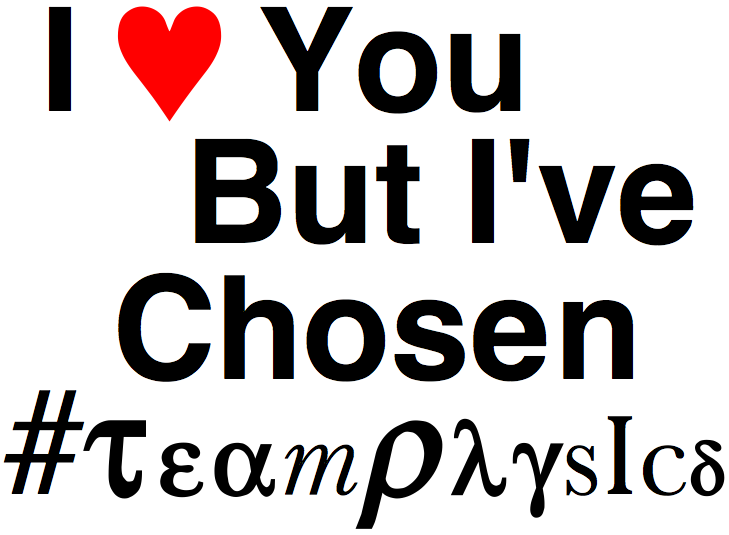 TeamPhysics is more than a mere moniker; it's more than a group; it's more than a logo; it's more than a hashtag. All of those things are necessary parts of it, but the essence of TeamPhysics is more than just the sum of its parts. The motivation to create a classroom brand was compelling and from many sources, but the steps to implement a classroom brand were less clear. After lots of planning, I outlined 8 fundamental steps that were necessary for me to put the classroom brand idea into action. From children's cereal to university athletics to political campaigns, branding is a powerful mechanism for bringing people together and communicating. Branding and brand recognition has a strong appeal to people because it helps them to easily form associations between ideas, experiences, and products to a brand. It makes perfect sense to leverage this in the classroom and bring about a classroom brand to help students form the associations necessary for successful experience in a class.